I may have misunderstood something here, but is this all we get? A Jabba the Hutt Palace and a smaller version of the Starfighter map for Arcade, than the multiplayer one. And here is a thing why can we not just get big map for single players. So all we get is a repeat of what we already had and one map Jabbas palace. EA games seriously need to step up. Not good enough..
ok, well that would nice. Though rumor has it that EA games i dumping Battle Front 2 game. Hope that is not true. I really don't think it's acceptable to receive this joke of an update as the kickstart for this season. A lot of people feel the same including Youtubers. You can't make us wait till June for more content when all you added was 2 skins, a recycled map and a game mode which let's be fair, can't have been that hard to make. So please add some actual content. MAPS. AS IN MULTIPLE. U can't add one map and then put all challenges on it so that we only play one map over and over and over. That's how you get people bored of this game. Also, HEROES. WTF!? Grevious was literally teased a trillion years ago. What has happened? it seems like you don't have enough resources and you're trying to stretch out what little decent content you have over a long period of time. YOU CAN'T **** DO THAT! THIS IS NOT **** MMA OR FIFA OR SOME OTHER CANCER LIKE THAT. IT'S STAR WAAAAAAARS. TELL THOSE OLD PEOPLE WHO DON'T PLAY VIDEOGAMES AND RUN THIS BRAINDEAD COMPANY THAT THIS GAME CAN BE GREAT, CAN MAKE MONEY, BUT IT HAS TO PROVE SOMETHING FIRST. Jesus how hard is it? Give them the example of FFXIV. They failed. BIG TIME. Yet they stuck with it, and ACTUALLY fixed the game and it's now one of the best MMOs out there. Why can't you do the same? You're a much bigger company with HUGE resources and this is **** STAR WAAAAARS. WHYYYY EXPLAAAAIN. Thank you and srry i said i'm not gonna get worked up but look at that...i really care about this mess i guess. I really don't think it's acceptable to receive this joke of an update as the kickstart for this season. A lot of people feel the same including Youtubers. You can't make us wait till June for more content when all you added was 2 skins, a recycled map and a game mode which let's be fair, can't have been that hard to make. So please add some actual content. MAPS. AS IN MULTIPLE. U can't add one map and then put all challenges on it so that we only play one map over and over and over. That's how you get people bored of this game. Also, HEROES. ****!? Grevious was literally teased a trillion years ago. What has happened? it seems like you don't have enough resources and you're trying to stretch out what little decent content you have over a long period of time. YOU CAN'T **** DO THAT! THIS IS NOT **** MMA OR FIFA OR SOME OTHER CANCER LIKE THAT. IT'S STAR WAAAAAAARS. TELL THOSE OLD PEOPLE WHO DON'T PLAY VIDEOGAMES AND RUN THIS BRAINDEAD COMPANY THAT THIS GAME CAN BE GREAT, CAN MAKE MONEY, BUT IT HAS TO PROVE SOMETHING FIRST. Jesus how hard is it? Give them the example of FFXIV. They failed. BIG TIME. Yet they stuck with it, and ACTUALLY fixed the game and it's now one of the best MMOs out there. Why can't you do the same? You're a much bigger company with HUGE resources and this is **** STAR WAAAAARS. WHYYYY EXPLAAAAIN. Thank you and srry i said i'm not gonna get worked up but look at that...i really care about this mess i guess. You are aware that they really don't have the resources? 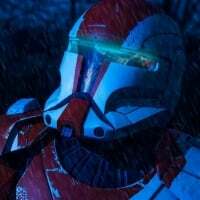 According to recent leaks and rumours EA has given up on BF2 and has pulled a large part of the development team to work on Battlefield V.
Grevious was likely planned a couple months ago along with Clone Wars content as Season 2, but because they had to redesign the entire progression system they were unable to. If you want to convince EA to continue support, realistically all you can do is buy Skins. Or you can try to contact them on social media, if you get a large enough following you might make it happen, ask a large Youtuber or someone else with a lot of influence in the gaming community. Try to convince EA, allbeit with screenshots of purchases, since they will probably only listen to money. So this game is going to die? The STAR WARS computer games was better under the supervision of Lucasarts and the quality also better as well. Now we are stuck with these EA suits who do not give a beep about STAR WARS fans except their money. The mistake is that if they do not give a crap then who says the fans of the francise the next they release a STAR WARS game will buy it!?.. but then again we may not count poodoo to them.. annoying!